10 (Delicious) Ways to Prevent Osteoporosis by Andrew Weil M.D. Being healthy as we age means taking care of our bodies and having strong bones is a key part of staying fit and well. If you have any history of osteoporosis or osteopenia, and want to stay that way, then make sure you include these key dietary elements. A key element for strong bones is calcium, but most of us think that has to come from dairy. Not true, as it’s also found in lots of vegetables. Best sources are: dark leafy greens such as bok choy, Chinese cabbage, kale, collard greens, and turnip greens. We usually buy them without their green leafy tops but one cup of cooked turnip greens has about 200 milligrams of calcium (20% of your daily goal). Another benefit is that dark greens also have vitamin K, which can reduce your risk for osteoporosis. Two lesser known nutrients that help keep bones healthy are magnesium and potassium. If you’re low on magnesium, you can have problems with your vitamin D balance, which may affect your bone health. Potassium neutralizes acid in your body that can leach calcium out of your bones. One delicious way to get some of both of those nutrients is by eating a baked medium-size sweet potato with no salt, which has 31 milligrams of magnesium and 542 milligrams of potassium. Add a grapefruit to your breakfast and you’ll be doing more than waking up your taste buds. Citrus fruits have vitamin C, which has been shown to help prevent bone loss. One whole pink or red grapefruit has about 91 milligrams of vitamin C, giving you the amount you need for the entire day. Can’t handle the sourness of a grapefruit? Don’t add sugar but switch to an orange whichcomes in close with 83 milligrams. If you’re looking for bone-strengthening fruits, figs should be near the top of your shopping list. Five medium fresh figs have around 90 milligrams of calcium and other essentialk nutrients like potassium and magnesium. Fresh or dried, they are both good sources for your bones. Salmon and other types of fatty fish offer an array of bone-boosting nutrients. They contain vitamin D, which helps your body use calcium, and omega-3 fatty acids, which may also aid bones. One of the best ways to buy salmon is actually canned. Three ounces has 197 milligrams of calcium. Why such a high amount? Small, soft bones get included with the meat in the canning process and if you mash the whole together with a fork you will get the extra benefit. A good alternative to peanut butter this is made simply from ground up almonds (check it does not contain any salt), and is an easy way to boost your calcium intake. Two tablespoons has 112 milligrams of calcium. Plus, almonds contain potassium (240 milligrams in 2 tablespoons) as well as protein and other nutrients that play a supportive role in building strong bones. You’d think that by swapping out dairy milk for the kind made from soybeans, almonds, or coconuts, you’d lose all that calcium and vitamin D.
However if you check the labels then you will find that most of the varieties in the supermarket or health store will have been given an extra boost of those nutrients. Tofu is a mainstay in Asian cooking, both for its versatility and the fact that it’s a nutritional powerhouse. Half a cup of calcium-enriched tofu contains more than 800 milligrams of calcium. Tofu has other bone- building benefits too as research suggests that isoflavones, which are plentiful in tofu, may make soy useful in warding off bone disease in women after menopause. It may not be the best source of calcium alone, but manufacturers often sell versions that have been fortified with calcium – check the label. Most fortified orange juice has about the same amount of bone-building calcium as dairy milk. It is mostly known for its ability to help keep you regular, but they are a healthy addition to your diet. Prunes are just dried plums (if that helps you see them differently) and research has found that eating them every day, along with calcium and vitamin D, can help improve your bone density by slowing the breakdown of bone in your body. Unlike refined white sugar, molasses is a source of calcium and has none of the drawbacks of that or of sweeteners. In just 1 tablespoon of molasses you’ll get 41 milligrams of calcium. You can do more than bake with it. Try it instead of honey to top your yogurt or oatmeal or mix into a smoothie. The fear of having brittle bones, which is what osteoporosis is, can be a real challenge at menopause and beyond. Known as ‘the silent killer’ because you don’t usually know you have it until after you have had broken bones, taking preventive action is much the best policy. 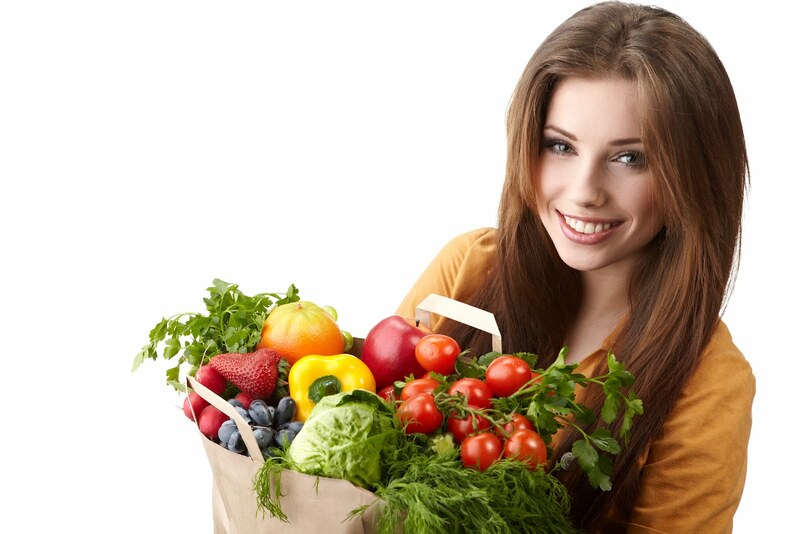 As well as these helpful foods, weight bearing exercise is a must and so is bioidentical natural progesterone. It has been used for many years worldwide to treat osteoporosis. In the process of bone rebuilding, it is oestrogen that breaks down old bone, but progesterone which helps build new bone. 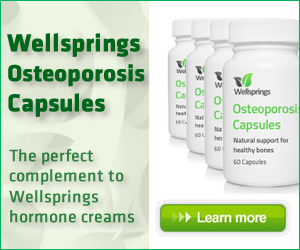 You might also find a specific combination of vitamin D, essential bone nutrients vitamins C, D and K and minerals Calcium, Magnesium, Boron and Manganese in Wellsprings Osteoporosis Capsules helpful and best used with Serenity cream for additional support.